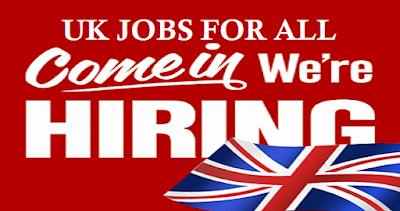 Best Jobs in UK for Newcomers. If you are newly arrived in the UK or are thinking of immigrating to the country, you will need to know the best jobs in the UK for newcomers. While some fields of employment are difficult to gain entry to, others are much more accessible to those who are new to the country. Here are some of the top jobs sectors for immigrants in the UK. The industrial sector is always popular with new immigrants to the UK as there are plenty of jobs available in this field. This is an area of employment with a high staff turnover so there are always plenty of vacancies waiting to be filled and there are jobs at various skill levels, from entry level positions that require no experience of existing skills to posts that require a more advanced level of ability. These jobs very rarely require complex educational qualifications, so with a reasonable level of high school education and a working knowledge of the English language, it is quite easy to obtain work in this sector. Many newcomers to the country find employment within the catering sector as there is a lot of variety within this field. The restaurant industry is often one of the first places that immigrants look for employment, especially if they can find an establishment that specializes in cuisine from their home country. For those with existing catering experience, there are plenty of posts available in food preparation roles, from those with limited skills to qualified positions as cooks or chefs. The catering industry also has entry level positions providing counter service to customers or waiting on tables, and these posts are often easy to find, especially within cities, requiring no advanced level qualifications. One of the easiest job types available to new arrivals in the UK is a driving position. As long as you are in possession of a valid driving license, you are able to find all kinds of work across the UK, although you will often need to have your own vehicle. From delivery driving for restaurants to acting as an independent courier for one of the many companies nationwide, it is usually very easy to find this kind of work, and often this sector is accessible to those who have limited English language skills. Taxi driving is another popular type of work for newcomers to the UK which offers great flexibility and money making potential. Customer service is a huge sector within the UK and has plenty of openings for immigrants to the UK who have good English language skills and a good people handling skills. There is a great variety of customer service work available from face to face customer handling in workplaces such as supermarkets, shopping malls and other office workplaces to customer contact centers where call handlers deal with customer inquiries over the telephone. The customer service industry frequently has a high staff turnover and therefore you are likely to be able to find a position with relative ease, especially within the UK's major cities. Although some companies will ask their employees to be educated to degree level, many others will simply require a good high school level of education as there are other elements which are more important, including the ability to speak English fluently, good problem solving skills and excellent people handling. Those looking for an entry level post will be able to find a placement through one of the many recruitment agencies nationwide that specialize in placing candidates in customer service roles, however there are often supervisory positions available for those with previous experience in the industry. For those with limited English language skills and who are lacking in qualifications, there are many housekeeping or cleaning positions available nationwide that is easily accessible to a newcomer to the country. There are many agencies that specialize in providing cleaning services to both domestic and commercial premises and these are a good place to start for overseas applicants who are looking for an entry level post, however there are often private positions advertised in newspapers and local publications which are also open to foreign candidates. Hotels are another good place to start looking for a housekeeping post, especially in tourist areas such as seaside resorts and cities. The hospitality industry is big business in many areas of the UK including the capital, London, many of the major cities and seaside resorts. Some rural areas are also popular with tourists and have good potential for seasonal work within the hospitality trade. This sector is especially suited to overseas candidates as foreign language skills can be very much in demand, especially for those who are searching for a position that puts them in contact with the public. The hospitality industry has a wealth of different positions suited to applicants with a broad spectrum of experience and qualifications. From administrative and customer service posts to catering, housekeeping and bar service, there are posts to suit many needs. Those who are interested in entry level positions will find that there are junior and service positions available that require only a working knowledge of the English language and a good standard of high school education, while those who have higher level qualifications or prior experience will find that there are more senior posts available, from personal assistant positions to hotel management or organizational roles.